Iran, August 7, 2018 - The body of Reza Otadi, the 23-year old protester murdered by Revolutionary Guards (IRGC) units in Karaj during major anti-regime protests, was laid to rest on Monday in Tehran’s famous Beheshte Zahra Cemetery. Prior to the service, Iranian regime authorities had ordered the family to bury Reza’s body in the section where the regime’s various war casualties are buried. As the ceremony was proceeding the family was suddenly told Reza is not considered a war casualty and must be buried in another location next to his mother. The Iranian regime’s repressive and intelligence apparatus is known to harass Iranians families through such methods, especially during their time of grief. The regime’s plainclothes and intelligence agents were stationed in the ceremony area, pressuring the family to wrap up their gathering as soon as possible.  In a completely ridiculous manner, the Iranian regime has gone as far as claiming Reza Otadi was killed by the People's Mojahedin Organization of Iran (PMOI/MEK). “These lies are no surprise from a regime that associates the arrest of its own diplomat with a bomb to the PMOI/MEK. This same regime had claimed the Dec/Jan uprising martyrs had committed suicide or the protesters killed their own ranks.